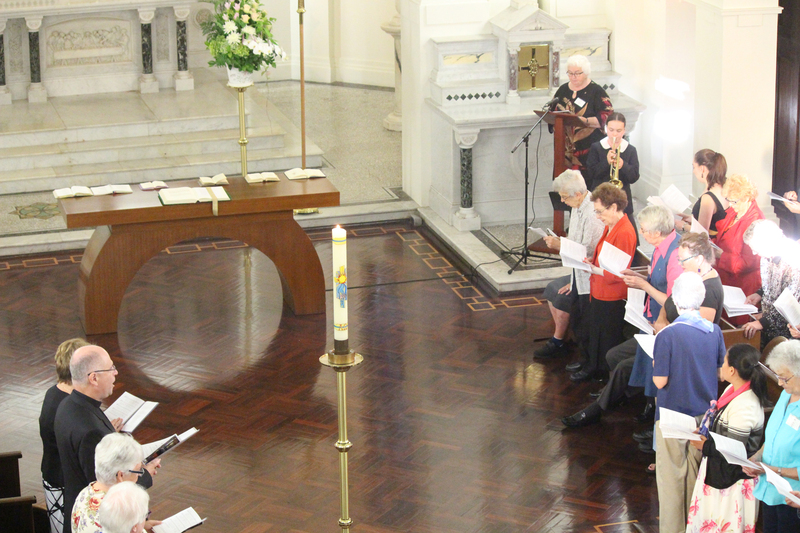 There was sadness, but overwhelmingly a deep sense of gratitude, as the Sisters of the Good Samaritan came together with friends earlier this month to ritualise the closure of “Regenbah”, their historic convent at Pennant Hills in Sydney, which has been a significant community for the Sisters over the last nine decades. 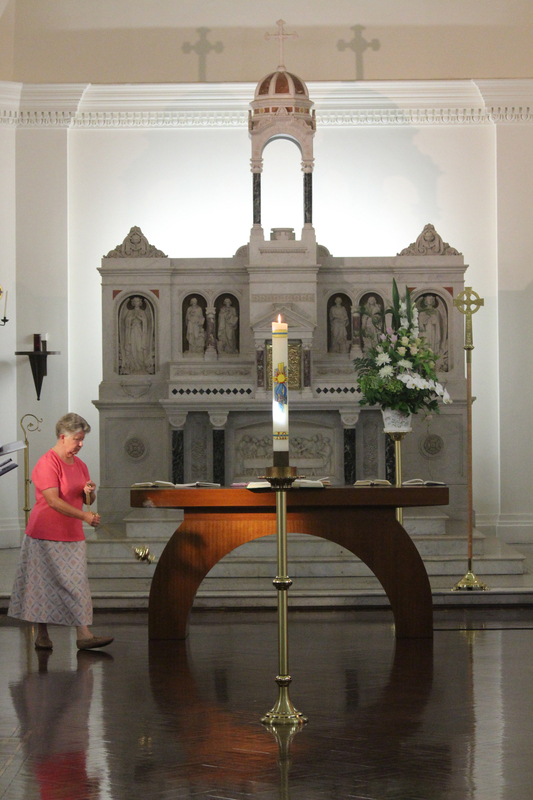 Among the 150-plus people who gathered for Evening Prayer in Mount St Benedict Chapel and afterwards for supper in the convent grounds, were many sisters, oblates, friends, colleagues and members of the local parish, school and diocesan communities. 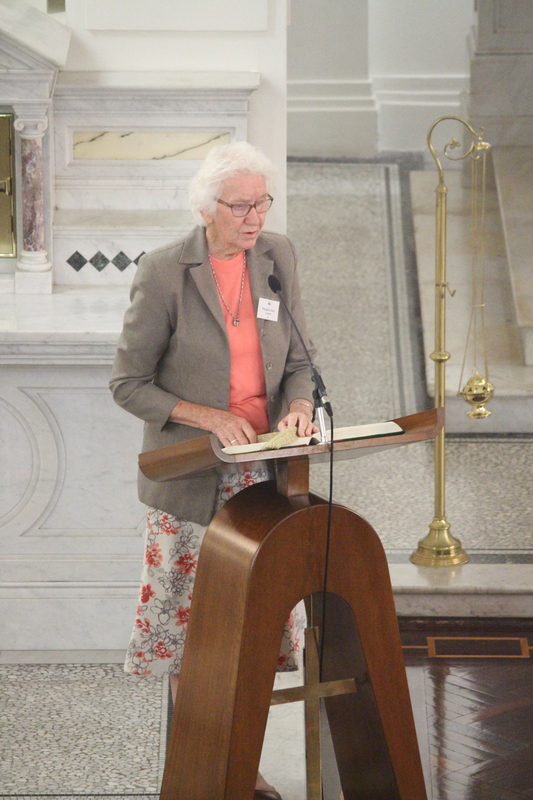 “We come this evening to glorify and thank God,” Congregational Leader Sister Patty Fawkner said in her reflection. 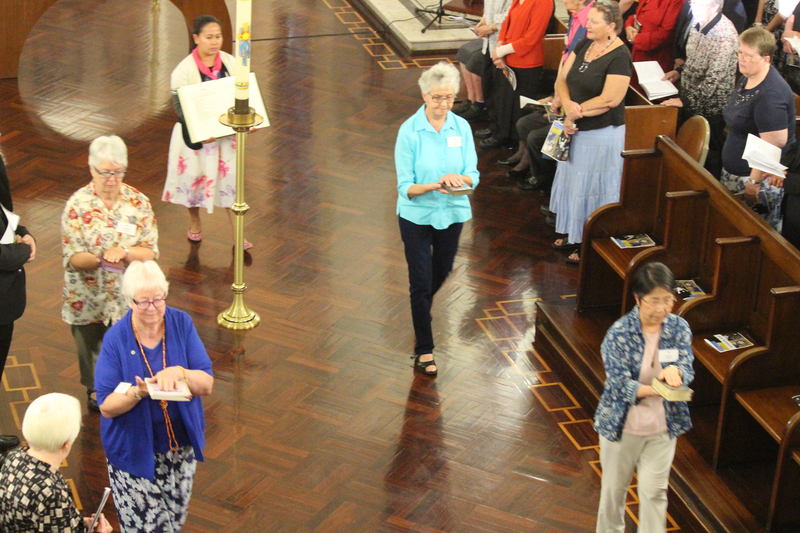 A poignant moment in the liturgy for many was when the various versions of the Liturgy of the Hours books used by the sisters over the years were carried in to the chapel by six sisters and placed open on the altar. 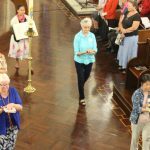 Just before the final prayer, those same sisters came forward, gently closed the books and carried them out in procession. 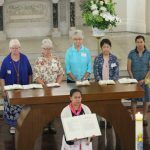 “It was a most profoundly moving moment and so many people commented on it afterwards,” said Sister Christine Manning, who has lived at “Regenbah” for the last seven years. 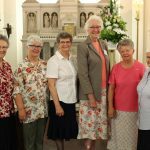 Christine and the other three sisters who live with her – Sisters Pam Pullen, Cecily Pullen and Elizabeth Brennan – are sad about the convent’s closure, but they know it’s the right decision. In the coming months they will relocate to a new community house in Glebe. “I think for all of us, we agree with the decision, we affirm the decision,” said Christine. “However, we are conscious of the significance of our departure and there is some sense of sadness… [But] our reality is that we have not the capacity to remain here any longer, so it’s a decision that’s based on facts and we don’t deny those facts. “So we have to choose, rather than fall into an option. As a community and as a congregation we have chosen this, having exercised our capacity to discern, to judge, to choose and now we move forward together. 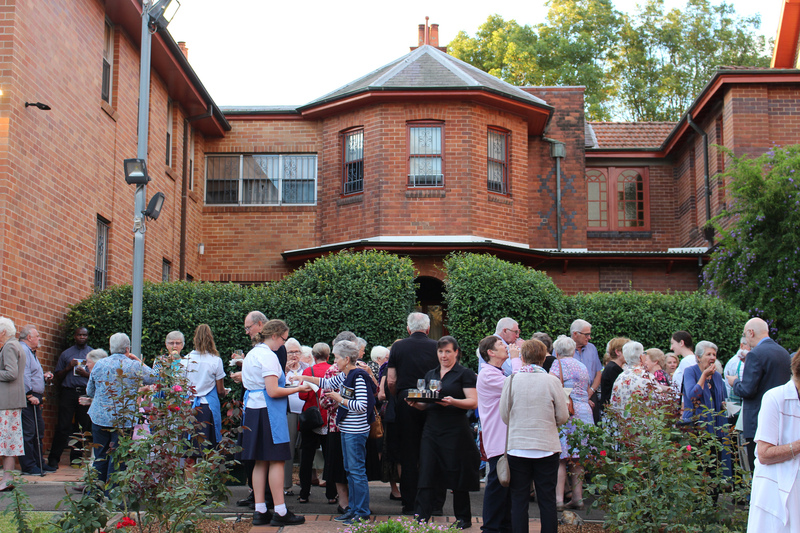 The first community of Good Samaritan Sisters at Pennant Hills moved into “Regenbah” on March 19, 1925. At that time, the stately Federation-style home which had been modified to suit the sisters’ needs, was situated on 56 acres of bushland. To say that the task given to this first community of five women was challenging, is an understatement. They were responsible for overseeing the construction of a new novitiate, including a chapel, which would accommodate the congregation’s growing number of recruits. 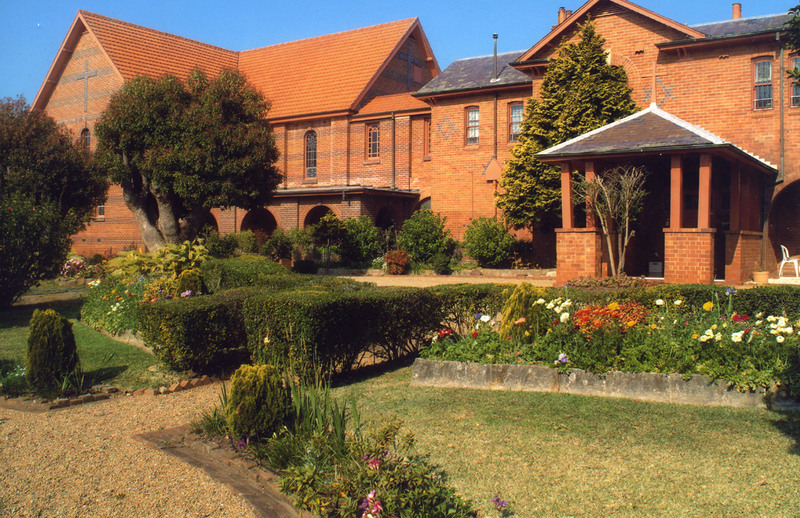 Just a year earlier the Sisters’ novitiate house at Randwick had been destroyed by fire, so the task of ensuring the building’s construction was urgent. With the opening of the novitiate in late 1927 and the arrival of the novices, “Regenbah” became known to all Good Samaritan Sisters as the “professed house”. 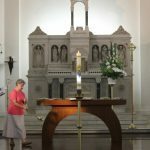 “This was to differentiate it from the novitiate building where the novices and postulants lived,” said Sister Elizabeth Brennan. 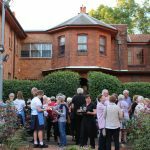 Elizabeth said that some of the sisters living in the “professed house” contributed to the formation and life of the novices as teachers, cooks, seamstresses and music teachers, but for the most part, they were involved in ministry in the wider Pennant Hills community. 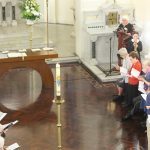 “As the local Catholic community grew, Catholic schools were opened and staffed by Good Samaritan Sisters at St Joachim’s, Thornleigh, St Agatha’s Pennant Hills, and St Bernadette’s, Dundas Valley,” said Elizabeth. Then in the mid-1960s, the Sisters opened Mount St Benedict High School on the eastern side of the Pennant Hills property. 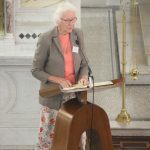 Sister Sonia Wagner has fond memories of her six years (1969-1974) teaching at the school and living in the “professed house”. 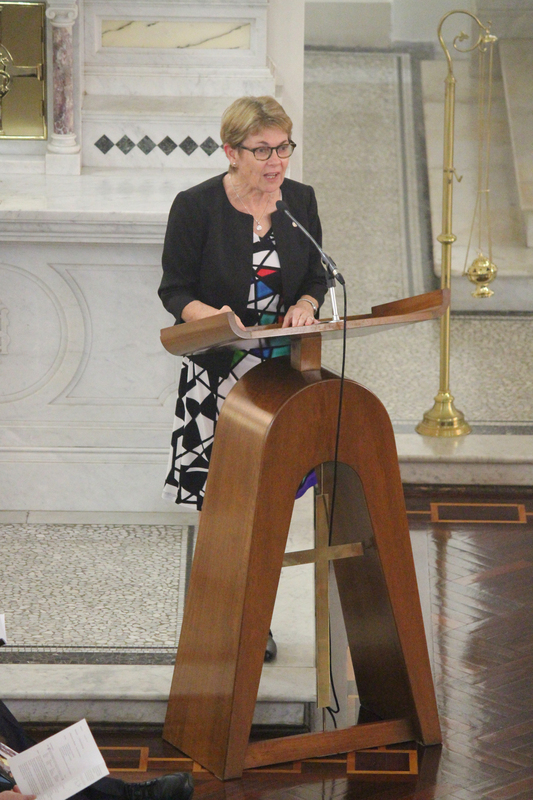 It was her first community and ministry placement after graduating from St Scholastica’s Teachers’ College, Glebe. “Initially I was a bit disappointed with the move,” said Sonia. Sonia was appointed to the school as “a home-room teacher for a large and lively bunch of second-formers, teaching a wide variety of subjects”. She also taught English and religion in the higher grades. 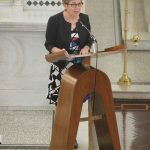 “Those years at Mount St Benedict, both in community and at the school, were hard work but at the same time they were rich, formative and exciting. These were pioneering years,” said Sonia. 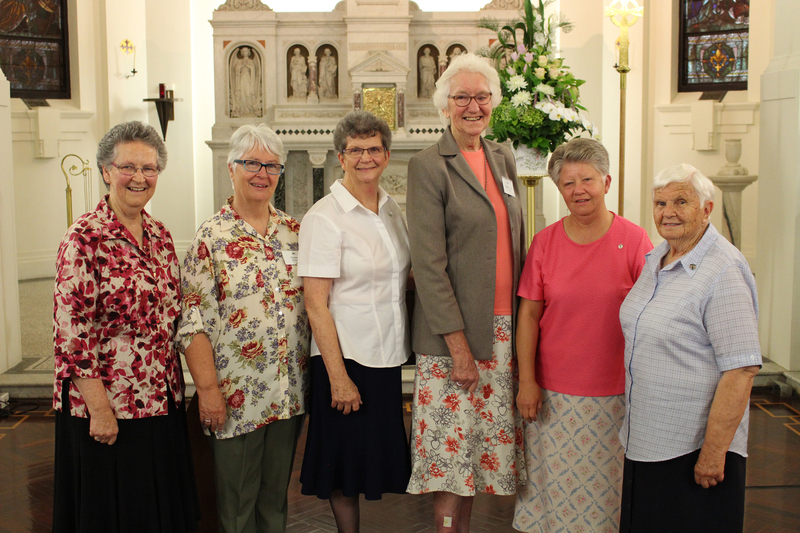 Apart from teaching, the sisters who lived at “Regenbah” over the years were involved in numerous and diverse ministries throughout the area, including adult faith formation, retreat work, disability support, liturgical music, liturgical consultancy, earth care spirituality, adult pastoral care and parish outreach. 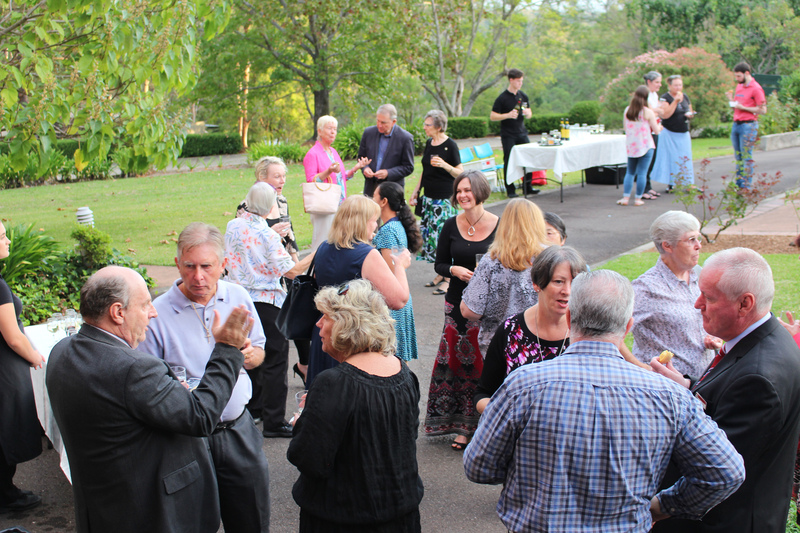 A significant ministry of the Sisters at the Pennant Hills’ site has been Mount St Benedict Centre (the former novitiate building) which began in 1999 as a spirituality, retreat and conference centre. 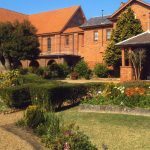 Under the leadership of Natalie Acton, who was appointed as the first lay Director last year, Mount St Benedict Centre will continue to offer a range of workshops, retreats and reflection days, and a peaceful place for groups to hold their conferences and retreats. 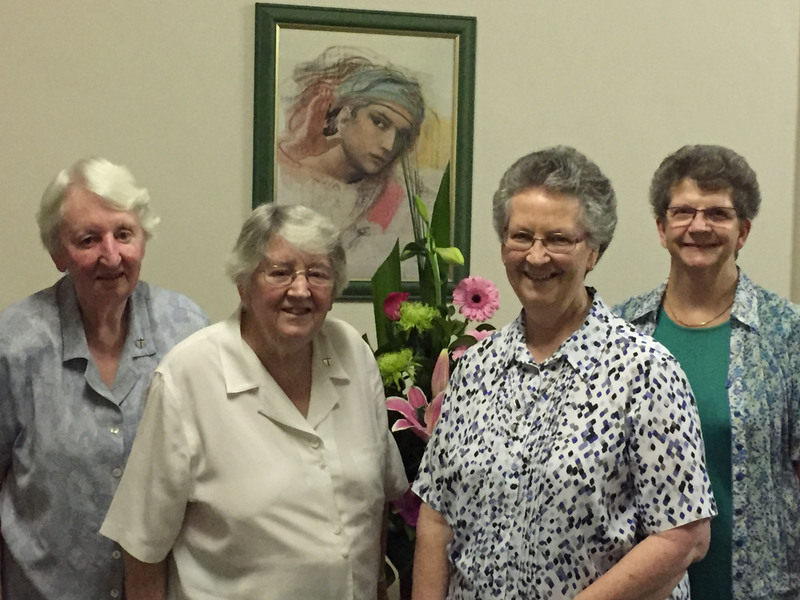 Sister Elizabeth Brennan, who has lived at Pennant Hills for the past 13 years and served as Director of the Centre from 2006 until early 2017, said an “enduring and enriching aspect” of life for the sisters at Pennant Hills has been their relationship with St Agatha’s Parish. 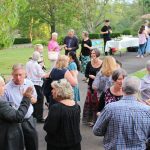 Maryrose Portelli is one of many people from St Agatha’s who have had a long and close connection with the Good Samaritan community at Pennant Hills. She was born and raised in the parish and was a parishioner until recent years when she and her family relocated to a neighbouring area. “I have known the sisters for almost 30 years, which is most of my life,” she said. Maryrose first met the sisters through her parents, Josephine and Charlie Mifsud, who both worked at the convent, the College and the Centre in house-keeping and handy-man roles for many years. 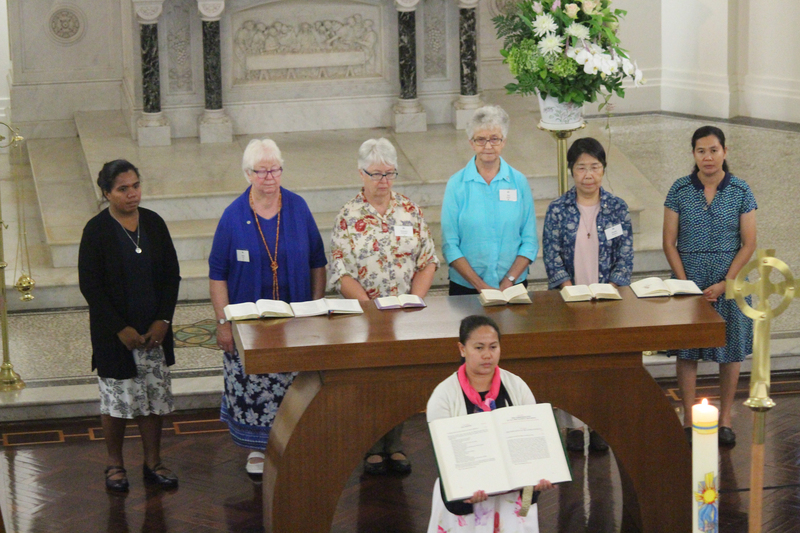 “We often shared weekly Mass with the sisters and end-of-year gatherings at our family home,” she said. Now Maryrose is “delighted” that her own two daughters will be heading to the College in the next few years and “be able to immerse themselves in the Good Samaritan history and traditions”. And while Maryrose is sad there will no longer be a community living at Pennant Hills, she believes the sisters will leave a “considerable legacy”. 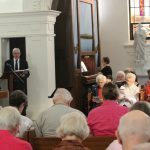 “Many people in the community, including myself and my family, have been inspired by their work, their love of Christ, stewardship, hospitality, a sense of community and peace,” she said. 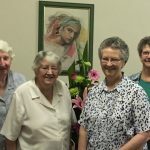 Sister Patty Fawkner is acutely aware that the sisters’ departure from Pennant Hills marks a “significant” and “poignant moment” in the congregation’s history, but she is hopeful about the future. 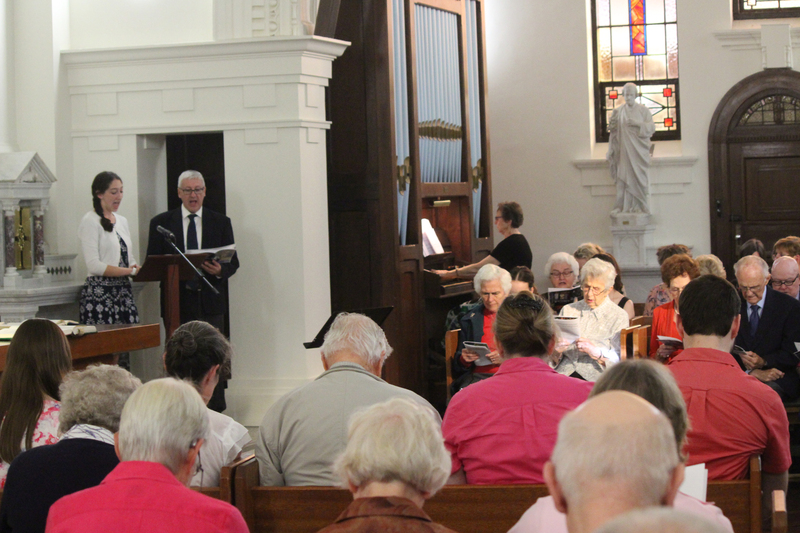 “We are proud of our 93 years of life and ministry at Pennant Hills. 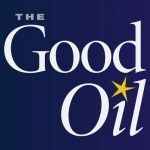 We have enjoyed significant partnerships and made life-long friendships. These partnerships and friendships will endure even though we’re moving a little further afield,” she said.